A beautiful day was ahead of us as we took off by taxi from the Hotel to begin our session by the bridgein front of Castle Sant Angelo. It was a little crowded but we found some ‘picture frame’ privacy on the side of the bridge capturing some stunning pictures of Castel Sant’Angelo and the bridge. We then took the stairs down to the Tiber river bank where we captured some nice images from below. The light was a little tricky here but we compensated by adding some flash light to fill in the shaded areas. Was our next destination where we found beautiful natural light shining in from the sides. Making the surface of the water fountain look emerald green. Resembling in a way the color of the Mediterranean sea. We collected some really nice imagery here mixing up different angles and positions. From a photographer’s perspective the view was perfect and the couple I was working with was just super! 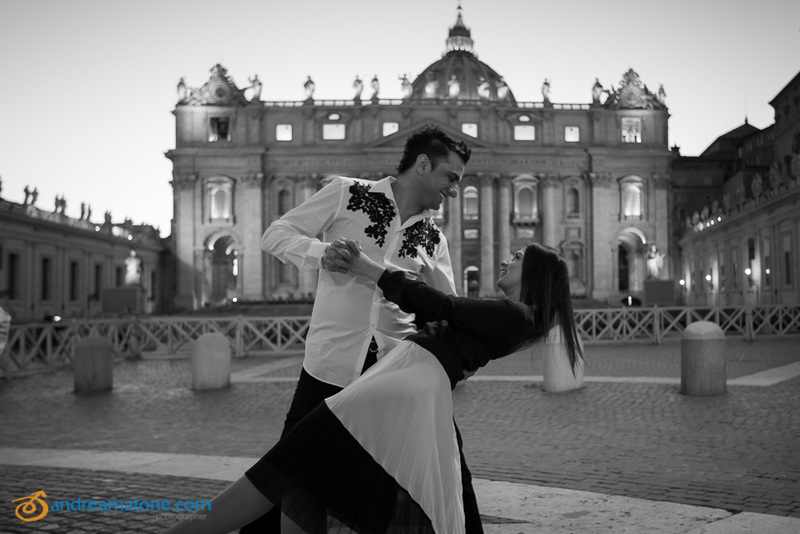 After a day break from one session to the other we met again at sunset at the Vatican square for some night time photography. With a different wedding dress and attire. We began at sunset which offers soo many wonderful photographic opportunities. 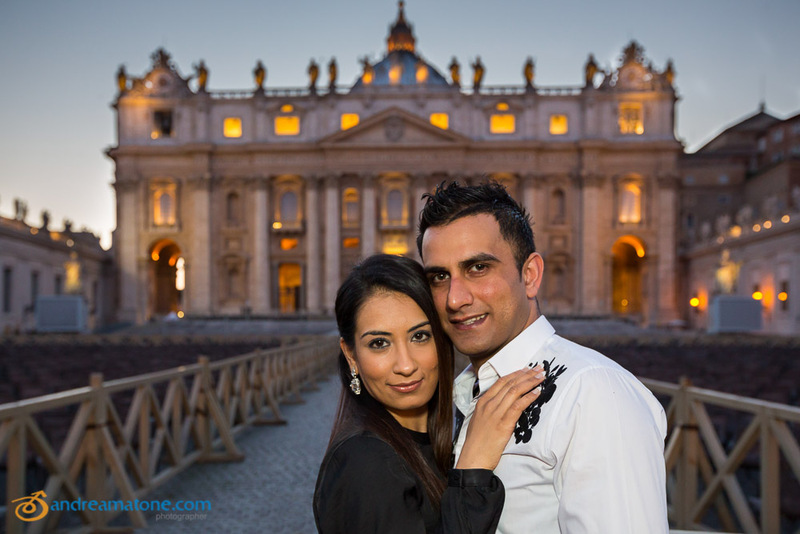 The light posts in Saint Peter’s square just started to light up as we started photographing. Then came the blue hour which beautifully lead into full nighttime. The Basilica lighting up in the background was really nice. I think we got some nice pictures here and I would like to thank Penny & Ricky for all the wonderful posing. Wishing you all the best! 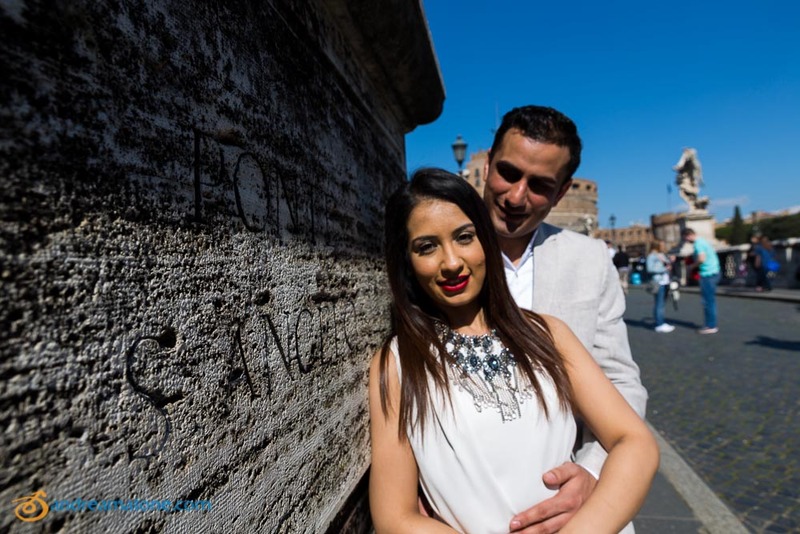 For more photos please check out the wedding photography in Italy or in Rome pages as well as the Engagement section.